Headed to the Queen City? 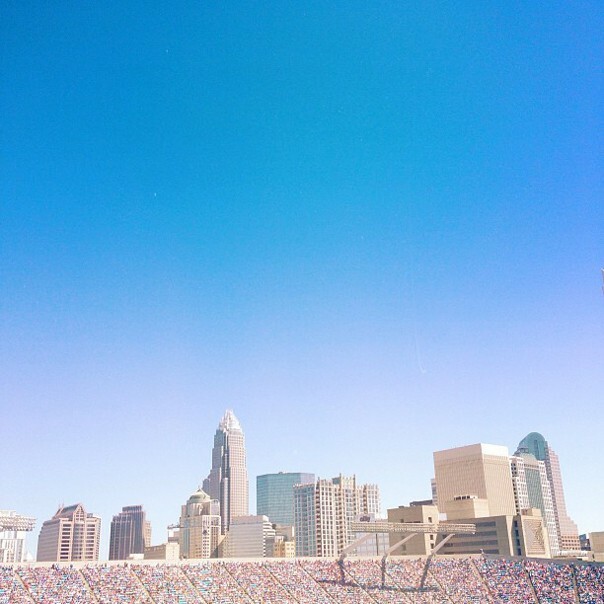 Use this Charlotte travel guide to plan your visit and check out all my favorite hidden gems! I’m so thrilled to be sharing the first travel guide in my new series! I already have tons of incredible bloggers from around the globe lined up to show you their cities’ hidden gems over the next several months. 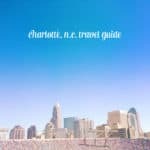 First up is a Charlotte travel guide by yours truly. Charlotte, N.C. has been my home for most of my life. I was born here, grew up here and moved back here within the last couple years, though I have lived a few other places in between. When I was in high school, I couldn’t wait to leave, but I am enjoying getting to know the Queen City in a new light. Named for Queen Charlotte of Mecklenburg-Strelitz (who was the wife of King George III), Charlotte is lively, bustling and full of surprises. The Queen City is well-known for its banking industry and its racing empire, but Charlotteans also place value on the arts and the environment. If you visit, I think you’ll find that it’s an up-and-coming Southern city with lots of charm, trees and history. It has lots of options for foodies like me, gorgeous shops and beautiful green areas. 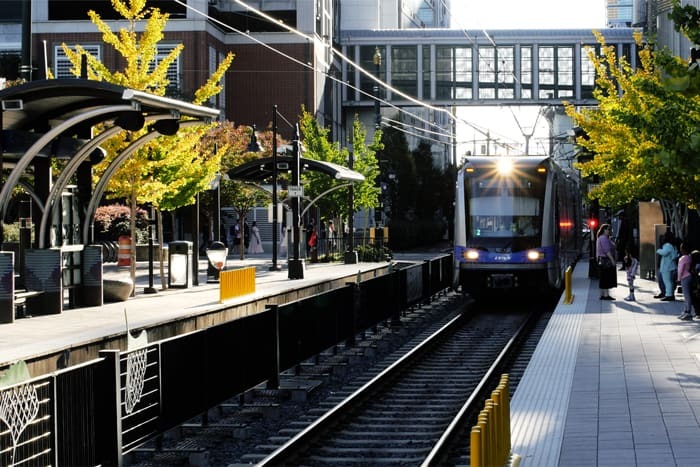 Though you can ride the light rail from Uptown to the South End neighborhood, you’ll benefit from renting a car to get to all these hot spots. If you’re interested in writing a Hidden Gem guide to your city, I am putting together a list of interested bloggers. If you’re curious, please click here to find out more, then email me. 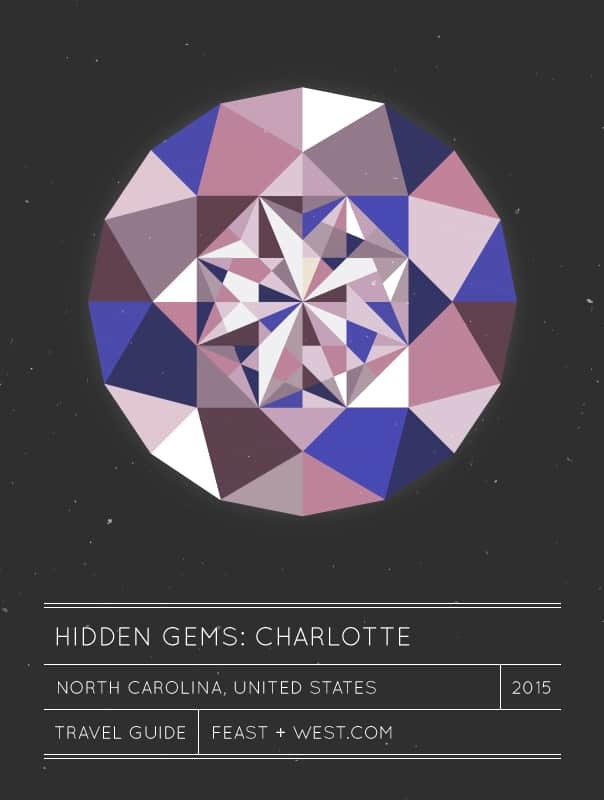 Click below to see my top hidden gems in this Charlotte travel guide! The number one place I take visitors is Amelie’s French Bakery for the salted caramel brownies, macarons, coffee and eclectic atmosphere. 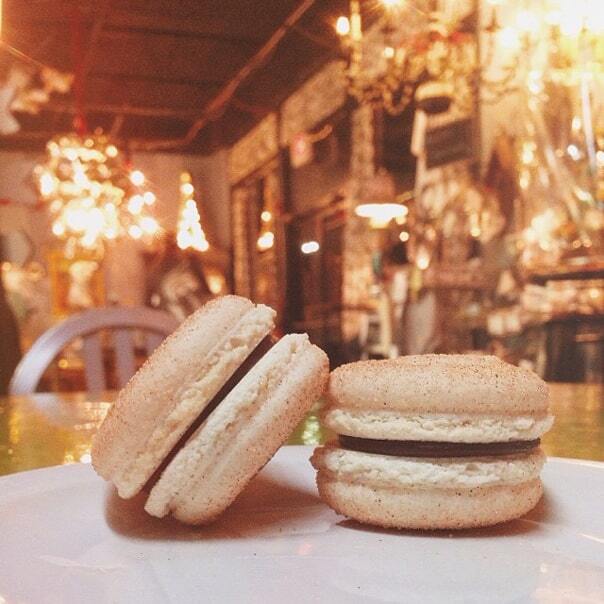 The Crepe Cellar is one of the more upscale places to eat dinner or brunch in NoDa. Check out Cabo Fish Taco, a casual eatery with amazing tacos and margaritas. NoDa is rife with breweries — Birdsong Brewery and NoDa Brewing are two Queen City favorites. Arrive early to trendy Soul Gastrolounge to get a table, tapas and to-die-for cocktails. Dish is an old favorite of mine for Southern comfort food like chicken and biscuits. A funky brunch or dinner spot, Zada Jane’s offers locally-sourced, organic dishes. Sandwich and beer lovers will feel at home eating at divey provisions shop Common Market. Grab a cup of coffee, a loaf of fresh bread and a spinach scone at Nova’s Bakery. Hip for brunch, dinner and cocktails, the decor at 5Church is some of my favorite in Charlotte. In the heart of downtown, Aria is an upscale Italian trattoria with lots of options. Get a buzz at Not Just Coffee, where you can find handcrafted lattes and pourovers. 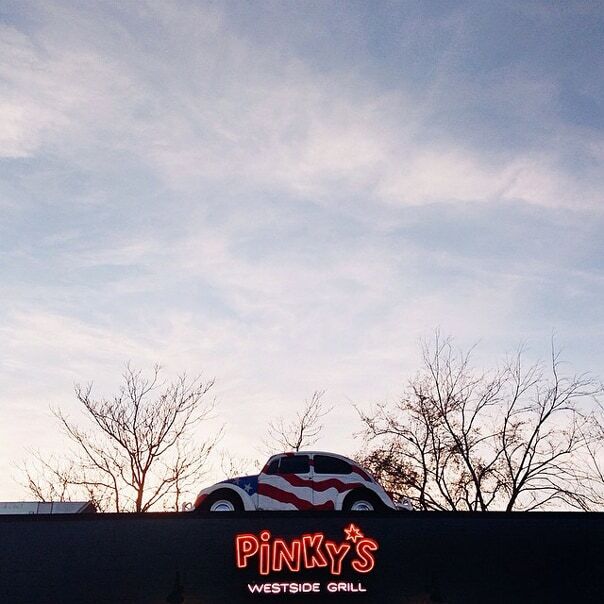 The burgers, dogs and fried pickles at casual and quirky Pinky’s Westside Grill (pictured) are arguably of the best in town. A few beats from downtown in the Elizabeth neighborhood, Customshop is a classy date night spot and the Sunflour Baking Co. has amazing cupcakes. Nikko is the best spot for beautifully presented and delicious sushi. Barbecue is a staple in North Carolina, and Mac’s Speed Shop does a fine job. Some say you haven’t lived until you’ve had fried chicken from Price’s Chicken Coop. Luna’s Living Kitchen serves amazing eats you’ll forget are all vegan. Find upscale Southern cuisine and cocktails at Nan & Byron’s. Copper offers colorful and flavorful Indian fare and is easily my favorite restaurant. The Thanksgiving sandwich at Fran’s Filling Station is enough to keep me coming back over and over again. Upscale restaurant Zebra is lovely for a nice dinner out. 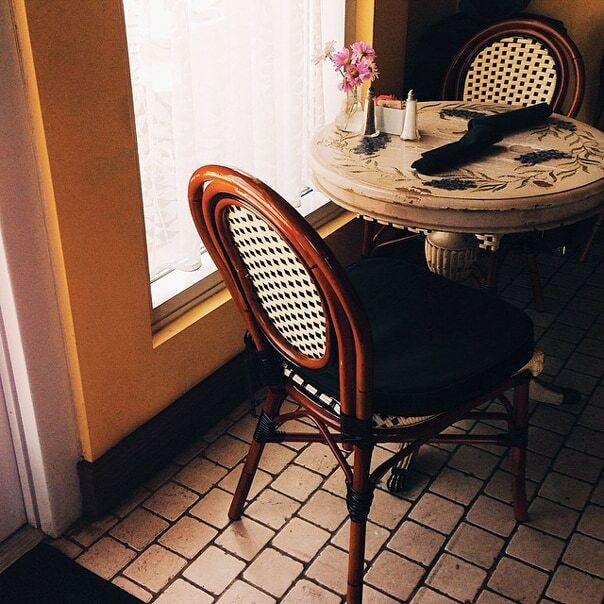 Adorable French bistro Cafe Monte (pictured) does double duty for brunch or date night. 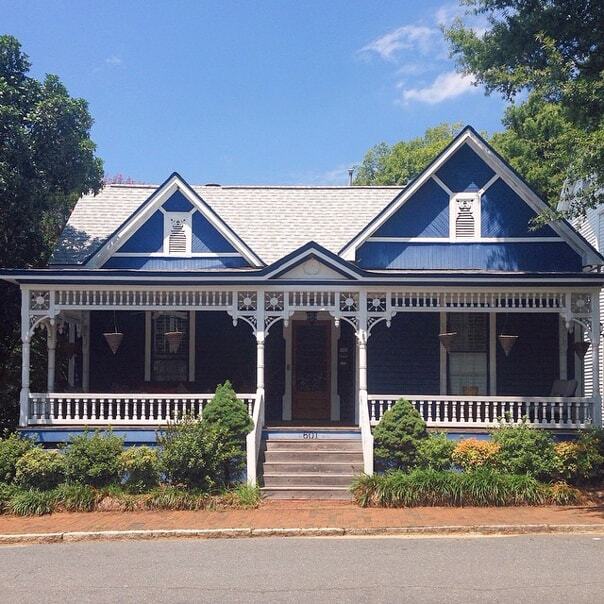 Not too far from South Park is adorable, walkable Montford. Try the tapas at Good Food on Montford or the tacos at Maverick Rock Taco. Broaden your food truck horizons every week at Food Truck Friday in South End. Take a walk around historic and revitalized Fourth Ward neighborhood (pictured) in downtown to see some beautiful Victorian homes. 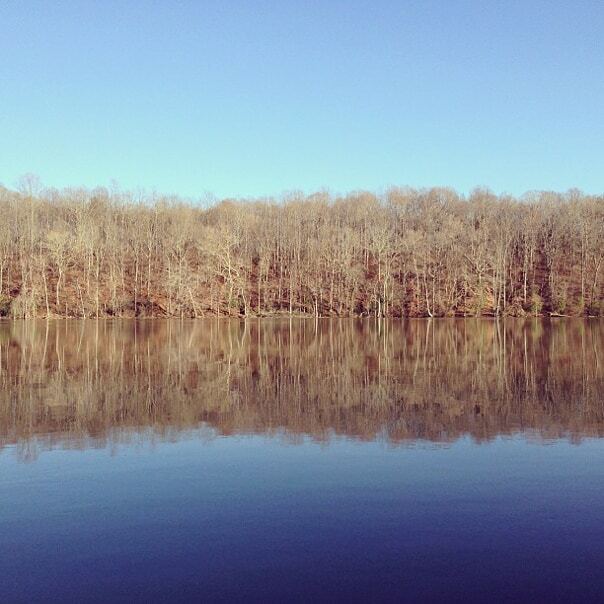 Take a picnic to Freedom Park, Charlotte’s biggest recreation area and park. 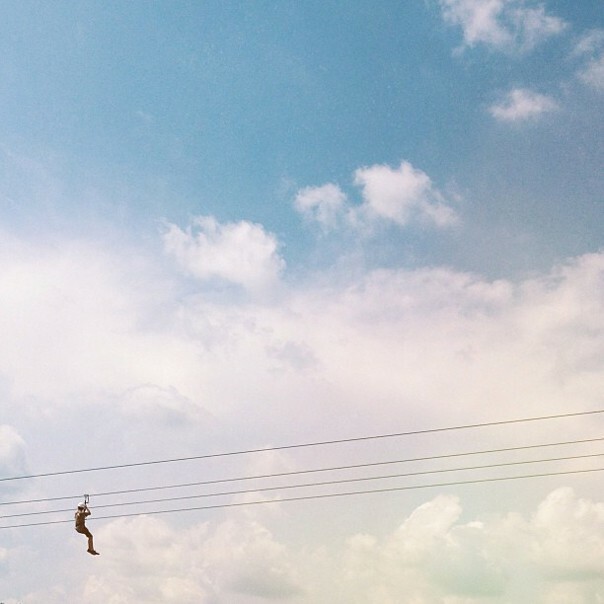 Kids will love climbing and exploring the old train car. Art lovers will adore downtown’s museum neighbors, the Mint & the Bechtler. Brush up on Southern history at the interactive Levine Museum of the New South. Catch a show at the North Carolina Music Factory. There are bars and frequent concerts at the outdoor amphitheater and the Fillmore Theater. Take kids and adults alike to the ImaginOn library and the Discovery Place science museum downtown for educational fun. Historic Wing Haven is a garden and bird sanctuary that’s worth exploring. There is always something in bloom at Daniel Stowe Botanical Garden in Belmont, just outside of Charlotte. Located just off the light rail uptown, 7th Street Public Market is an awesome open space filled with food and gift vendors and restaurants. 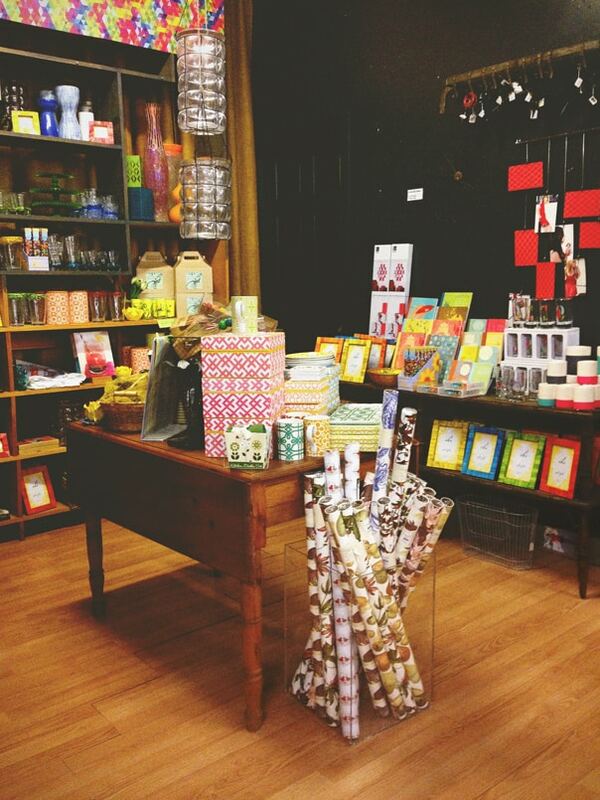 Newcomer Earl’s Grocery in Elizabeth is a great spot for foodie souvenirs or snacks. Crafters will love Beadlush (pictured) in Plaza Midwood, where they can find jewelry-making and scrapbooking supplies, as well as weekly classes. 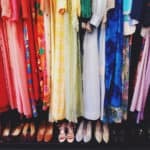 Thrifters and fashionistas will enjoy perusing Boris & Natasha in Plaza Midwood as well as the dozens of vintage and consignment shops in this area. Lunchbox Records in Plaza Midwood is a local favorite for new and used vinyl. Find trendy ladies’ clothing at The Pink Hanger boutique in the Cotswold neighborhood, near South Park. Vintage lovers will enjoy perusing finds at the Rat’s Nest in NoDa. Reid’s Fine Foods in Myers Park is another spot for specialty foods and wine. Go antiquing at the Sleepy Poet in South End. There’s always something to spot! 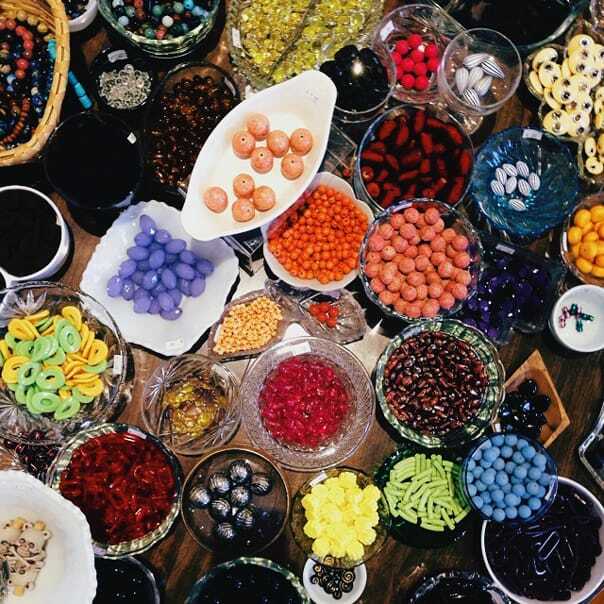 Bring home a box of handmade truffles from The Secret Chocolatier for a tasty treat. 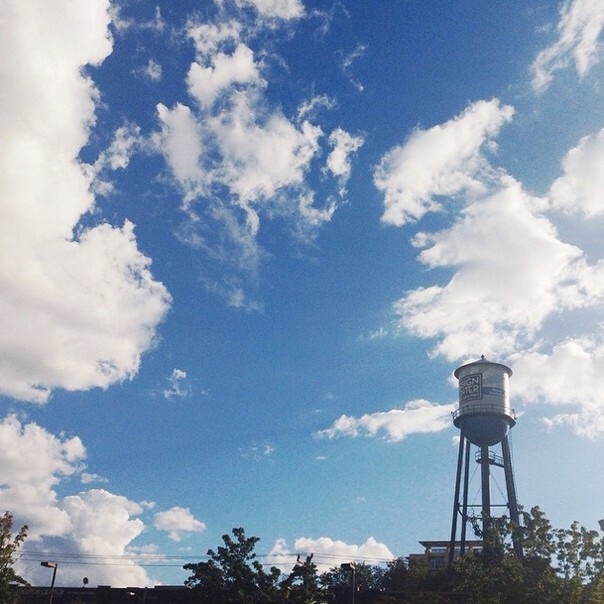 40 minutes: Waxhaw, N.C. — Go antiquing in this sleepy railroad town and enjoy the scenic, rural drives. 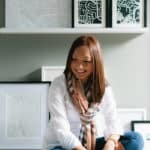 1 hour, 30 minutes: Seagrove, N.C. — If you like pottery, you’ll enjoy visiting this artists’ town in the heart of the state. Take time to visit the studios of local potters. 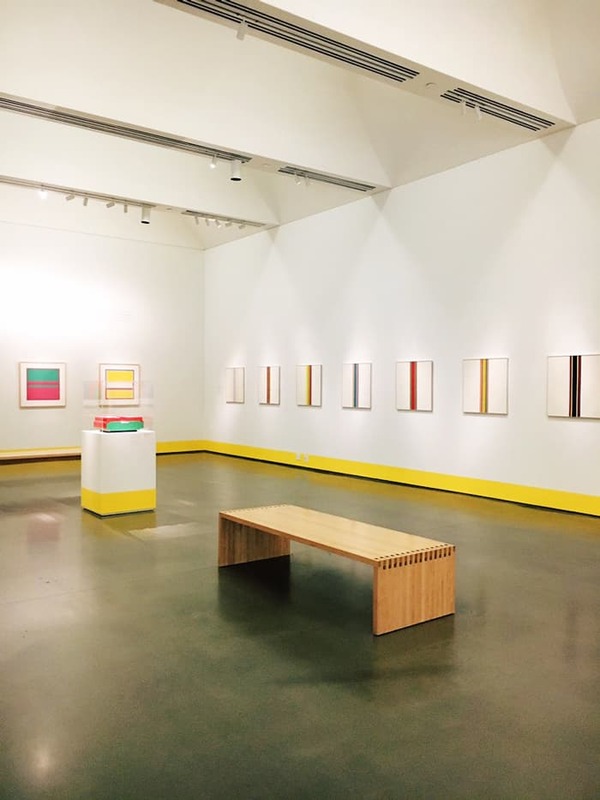 2 hours: Asheville, N.C. — Another travel guide in itself, artsy Asheville boasts so much to do, from the Biltmore Estate to drives along the Blue Ridge Parkway. 3 hours: Charleston, S.C. — Take a weekend trip to this historic beach town for a weekend of Southern charm and good food. 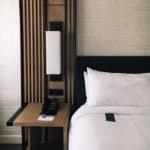 3 hours: Raleigh, N.C. — Road trip to one of my favorite cities in the world and experience amazing eateries and good beer in North Carolina’s capital city. Great way to start off your new travel series! Your tips will come in handy when I day-trip to Charlotte sometime from Durham, speaking of which, I’m really looking forward to contributing my travel guide post about Durham in the spring! Love your Charlotte tips! I think you hit most of my favorite spots! We also just tried JJ’s Red Hots the other day – definitely worth a visit! This is simply fantastic, Susannah! You hit on a ton of my recommended places whenever I’m convincing someone to come visit! 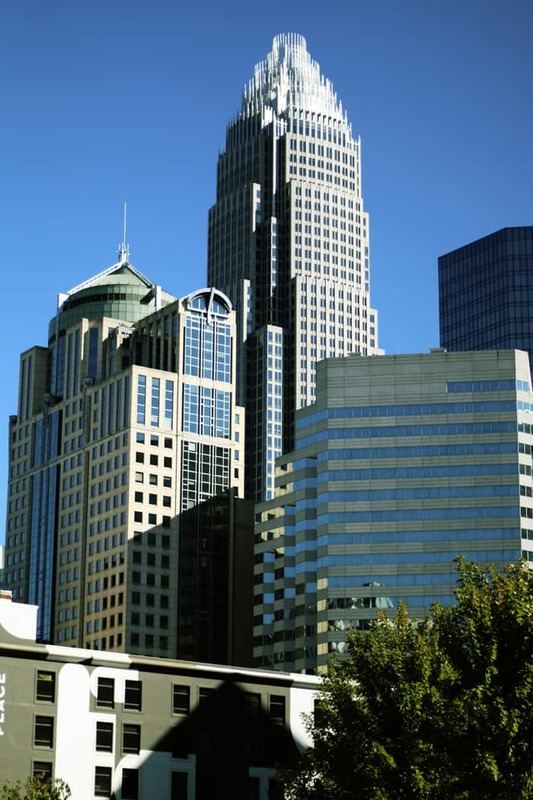 Do you have a recommendation for a guided tour of Charlotte — places, things to see, etc. that doesn’t include food? I’m sure lunch on our own would be great, but would like a general tour which includes the Charlotte highlights. Thanks. Hey Mitzi! Thanks so much for stopping by! I asked around for you and came up with this article my friend Chrissie wrote about Charlotte tours. There are lots to choose from! As far as things to do in the city, I love the Mint Museums, the Levine Museum of the New South, Discovery Place. Riding the light rail is a great way to see a lot, too! Let me know if you need any more suggestions!